*Author’s note: This story was co-authored by Jennifer Hossler and Carey Sipp. Real estate developer Marjy Stagmeier was sifting through tenant applications for an apartment complex she had purchased in Atlanta and noticed something disturbing: Many of the applicants were single mothers making $8/hour. Marjy said she knew she would need help with the property. She hired a manager, who in turn wanted to hire her sister, a reverend, to provide a free after-school program. “The complex started offering family days, and would have a radio station coming out for live feeds. Police would drop in to visit. We had 500 people come from the community! That is when the idea started growing in me that I needed to make this a model,” Stagmeier says. Stagmeier’s decisions changed everything for those residents. First, they were able to get better jobs because they could rely on the free after-school childcare. They didn’t have to move, because Stagmeier didn’t raise the rents, so people got to know each other. And the local school’s transiency rate – a rate which can hit 70-80% in low-income neighborhoods – plummeted, because parents didn’t have to move. With a stable home and school, kids did better academically. By seeing a problem and being creative and open to ideas, Stagmeier stumbled into a solution, and learned about the interrelationship of the problems of school transiency, poverty and the lack of affordable housing. That was in 1998. Today, nearly 20 years later, Stagmeier has developed an affordable housing model that decreases income inequality and improves failing schools. Her nonprofits —3Star and Star-C — purchase rundown properties and provide the people who move into them wrap-around services. 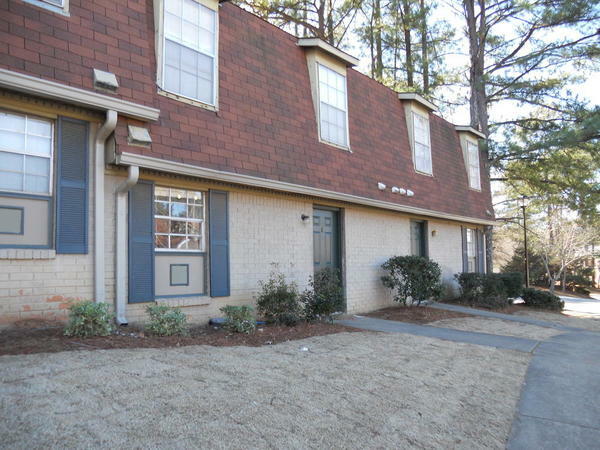 Although the companies Marjy started – TransInvest Group and TI Asset management – have owned and or/managed 2,700 apartment units in Atlanta over the last 20 years, the boards of directors and investors of those for-profit companies directed the sales of the apartment properties she’d bought. One such property, where crime had fallen rapidly following the start of an after-school program, quickly went back to having a high crime rate following the sale and discontinuation of that program. The sale of properties with the wraparound services won’t happen now, as Stagmeier bought out her investors in 2013, and started a nonprofit specifically to raise money to buy blighted apartments near failing schools. The nonprofit Star-C now owns just one property, Willow Branch, a 186-unit complex that exemplifies her approach and serves as the model for acquisitions in the works. Atlanta provides good test site for such a model. The issues of poverty, housing and failing schools seem more “in-your-face” in Atlanta, as the income inequality is so great. Housing prices near the city’s highest-performing public schools average around $800,000 in price vs. $50,000 near the lowest-performing public schools. This inequality is a setup for schools being closed, low-income housing being torn down, and more and more of the city’s poorest people being forced further away from good schools, jobs, and services. Stagmeier and her team are hoping to change this by identifying elementary schools that are in the bottom third in performance and test scores, buying abandoned or otherwise blighted housing complexes in the same neighborhood, and repairing them. The repair can be quite a chore, as many of them have been abandoned for years and are infested with mold. A key component of their model: They don’t raise the rent once a family moves in. At Willow Branch, rents are kept affordable: $595 for a one-bedroom, $695 for a two-bedroom and $795 for a three-bedroom apartment. While Stagmeier said she doesn’t know the rent-to-income ratio for tenants at Willow Branch, she keeps the rents stable and at one-third the poverty level income. The recommended percentage for a family to spend on rent is 33% of their income. As Stagmeier sees it, raising rents every year is a primary reason families living in poverty are forced to move. And when they move, they take their children with them, which often results in changing schools, sometimes several times in one year. Keeping the rent stable at Willow Branch has, in turn, stabilized the turnover of residents in the complex. “Our turnover rate was just 21% for 2016. The standard for this market is between 60 and 70%,” says Stagmeier. Frequent moves are tough on families, especially children who have to start over with each new school they attend. But these moves are also tough on schools. When schools lose a high percentage of students each year and take in new students, it’s difficult to stabilize attendance and increase test scores. Such had been the case at Indian Creek Elementary, the school near Willow Branch. Stagmeier and her team have partnered with Indian Creek to offer after-school programs and free summer camps. Given this flexibility, parents no longer have to worry about where their kids are after school or during school breaks. This freedom gives them greater capacity to find work and increase their income. 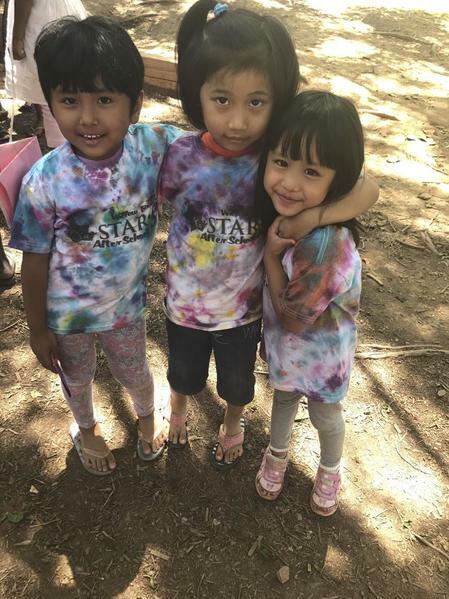 A few of the adorable beneficiaries of the Indian Creek after school program. The results for the school have been impressive: In just two years, stabilizing the resident population in Willow Branch has helped Indian Creek Elementary go from one of the worst schools in the state to the 79th percentile in performance. “We need to engage landlords in understanding their impact on families. Raising rents just $50 or $100 a month means many families have to move or will be evicted. The effect on the families and the schools is traumatic,” Stagmeier says. 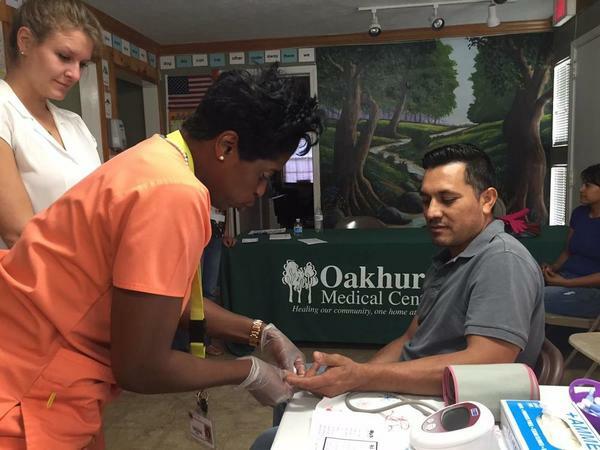 Star-C also partners with local health clinics to offer medical screenings and care. Many children are covered under Georgia’s version of Medicaid and many men in the community have health insurance coverage through their employer. As many of the women in the complex are home taking care of pre-school children, or work in places that do not provide insurance, they are most likely to be uninsured and/or ineligible for Medicaid. homeless and living in tent camps. Planting and maintaining the gardens serves as a therapeutic tool and is great for the mental health of the community. Removal of “erosion areas” — Unsightly patches of dead trees, grass, and rundown landscaping become gardens, instantly enhancing the aesthetics of the property. 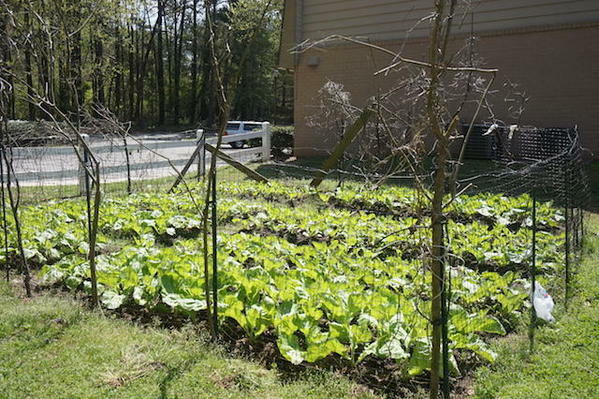 Increased food security — Gardens give residents the opportunity to have control over the food they eat. Additional income — Residents host a farmer’s market which gives them an opportunity to earn some extra cash from the food they grow. Crime reduction — Families work together in gardens, especially in the summer months and in the evenings, when crime is high. This reduces vandalism. When communities build something of value together, they create a sense of pride and protectiveness and vandalism goes down. Stagmeier, who says she comes from a family culture of community give-back and engagement, is one of those people who is implementing trauma-informed practices without using that language or even knowing about the science of childhood adversity that shows the link between childhood trauma and the adult onset of chronic disease, mental illness, violence and being a victim of violence. When provided a basic overview of the CDC-Kaiser Permanente Adverse Childhood Experiences Study (ACE Study), Stagmeier was quick to see how her model could be seen as a way of building resilience and reducing adversity. Unsubscribe from any emails you receive, Cynthia. Outstanding model for what ‘how-to’ compassion can do to make a contribution to our humankind ! Thanks for the creative ‘grit’ you have in persisting. I am so taken by Marjy Stagemeier’s compassion and common sense, and by the capacity for whole communities to heal themselves once causes and conditions move toward stability and fairness. I love this story, thank you for reporting it! We agree! Thanks so much for taking the time to read. Marjy is doing great things to empower communities to heal themselves, which as you said, leads to stability. We are happy to bring her story to light! Wonderful things you are doing Marje! I hope others take your lead! Marjy is doing more for children than any of the gov’t programs-she’s building positive community-which is good for everyone and a preventative for domestic abuse, drug and alcohol abuse, teenage pregnancy , and all of the other ills of our society. Kudos an sainthood! Is there an ACE conference or symposium where I can learn more about what to do once I know my ACE score? I think this will help many people. I have a 6 on my ACE tests and know my past is part of my present but I am not a slave to past horrible events. The differentiation needs to be pointed out that children who grow up in horrific situations did not choose this. As adults we have the liberty to choose our life which is quite a different dynamic. Hi, Susan – there are communities all across the country who are having these conversations in a variety of ways, including community forums, conferences, movie screenings, etc. Where are you located? If there is an ACEs Connection group in your community, that is always a great place to start to look for resources.